In a press release just issued to the media, Mayor Joe Curtatone announced that Superintendent of Recreation Jim Halloran will be moving on to the Weights and Measures Division of the DPW and that the City will conduct a search for Jim's replacement at the Recreation Department immediately. Jackie Rossetti writes, "In addition to an ongoing review of the department’s programming and services for residents of all ages through the recently-formed Recreation Task Force, the Mayor announced his intent to conduct a nationwide search for a new Superintendent, and to make the process public and transparent." 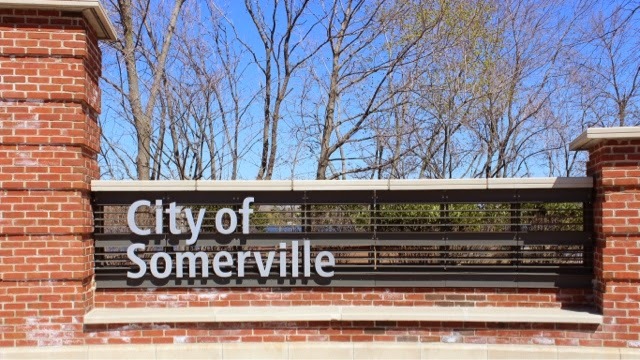 SOMERVILLE – Mayor Joseph A. Curtatone announced today that following an announcement by the City’s Superintendent of Recreation, Jim Halloran, of his intent to accept a position within the Somerville Department of Public Works’ Weights and Measures division, the City will conduct a public search for the next Superintendent, effective immediately. Halloran will assume his position at the DPW on July 1. In addition to an ongoing review of the department’s programming and services for residents of all ages through the recently-formed Recreation Task Force, the Mayor announced his intent to conduct a nationwide search for a new Superintendent, and to make the process public and transparent. “It has been a pleasure to serve in this capacity for so many years. I will truly miss my colleagues here, and all of the residents and families I have been fortunate to work with in so many different ways. I’m looking forward to contributing to the City in my new capacity,” said Halloran. In addition to planning, coordinating and supervising a comprehensive community recreation program, the Superintendent of Recreation oversees and arranges use of facilities including but not limited to Dilboy Stadium, and the Founders and Veterans Memorial Rinks as well as the municipal pools and boathouse. The City is seeking candidates with a Master’s Degree and five years’ experience in recreation, including two years’ management experience or any equivalent training. Mr. Halloran, a former alderman, was appointed to the recreation job he is now vacating (nothing new there as we all know; recent cases on point: Bill Roche,Bruce Desmond, Stan Koty, and other former aldermen securing city job appointments with no nation-wide search; no master's degree or any college degree required; no prior experience required as when Halloran was appointed to head up the Recreation Commission. All these type of appointments by the mayor (lacking openness and transparency) with the approval of aldermen currently sitting on the board of aldermen. Why would sitting aldermen not approve? (its a no-brainer)because any one of the sitting aldermen may be the next in line for an appointed position on the city payroll; guaranteeing a weekly salary, pension, and lifetime health benefits paid by us taxpayers.....and some appointees while still holding jobs in the private sector. Now Mr. Halloran is being moved on to another city position absent a nation-wide search; a required education level; past experience; and "transparency." We, the public/taxpayers, some who may be qualified by any or all requisites needed to fill the city position.... find out only AFTER the deeds are done! Please ask the Mayor: "Where was his "transparency" when other former aldermen were appointed city jobs by him." Okay people....let's get it right, it appears the ONLY requirement for obtaining an appointment to a city salaried position is that the appointee be a person who was elected to the Board of Aldermen and subsequently defeated, re-elected, resigned in office, or chose not to run again. One of the above applying to Mr. Roche, Mr.Desmond, Mr. Halloran and Mr. Koty. No question: some or all knowing a city position was in the works for them.